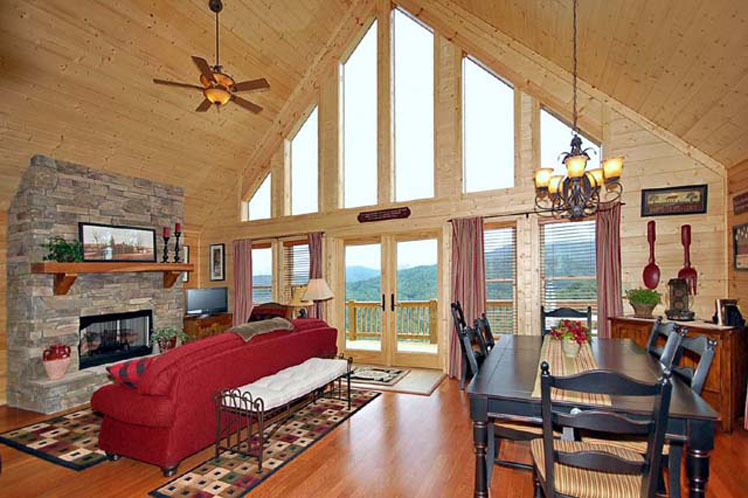 The properties at Scenic Wolf Resort are under new management by Carolina Mornings, Asheville's premiere vacation rental and property management company. 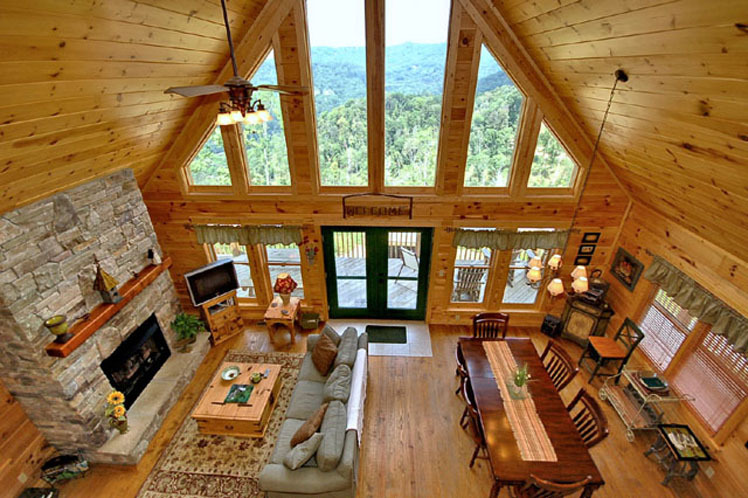 Offering fifteen years of experience, Carolina Mornings brings an extensive knowledge of the vacation rental industry and Western North Carolina to Scenic Wolf Resort, along with numerous benefits for resort guests. 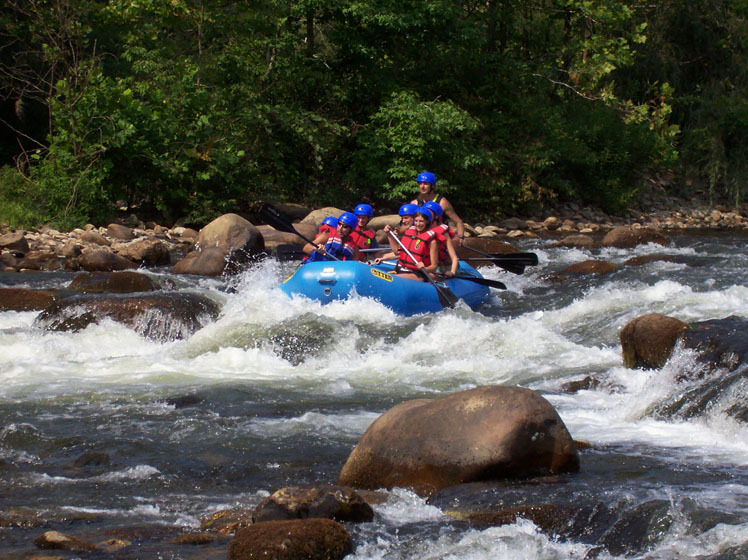 In addition to access to our on-staff concierge, who will assist you with reservations, discount tickets, and vacation planning, Carolina Mornings offers all guests a free Mountain Discovery Pass. 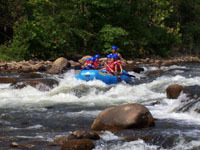 The Mountain Discovery Pass provides guests with complimentary admission to Reems Creek Golf Club, French Broad whitewater rafting expeditions, LaZoom scenic bus tours, and ski lift tickets at Wolf Ridge. A wide array of special offers and vacation packages are also available. 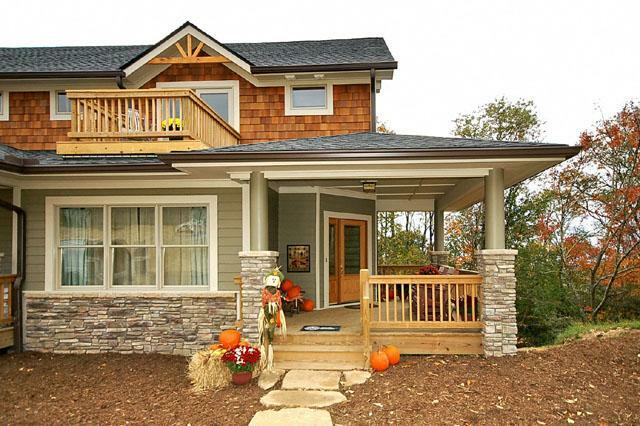 Carolina Mornings wants you to experience the best that Asheville has to offer in every season! Looking for a perfect location for your next event, reunion, or retreat? 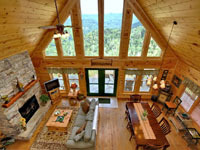 Scenic Wolf Resort is the ideal location to host large groups for several reasons, including the availability of dozens of side-by-side luxury rental cabins with plentiful parking and spectacular views, and the resort's swimming pool (open Memorial Day through Labor Day). 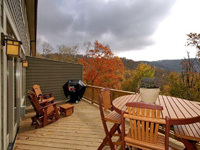 Scenic Wolf Resort can comfortably accommodate everyone in your group! 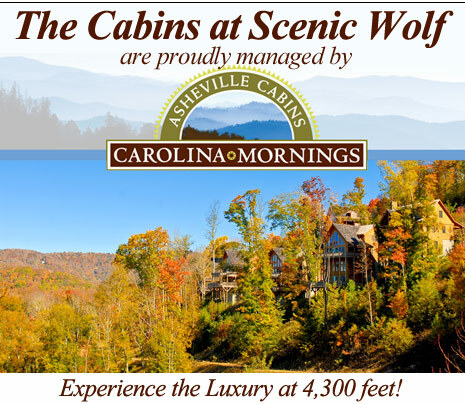 Please contact Carolina Mornings with any questions you may have regarding Scenic Wolf rental properties at 855-856-6711 or by email. 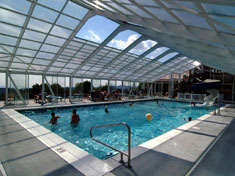 Glass-Enclosed, Pool with Water Slide Open for Memorial Day weekend and closing after Labor Day weekend. Click here to see the current pool hours. 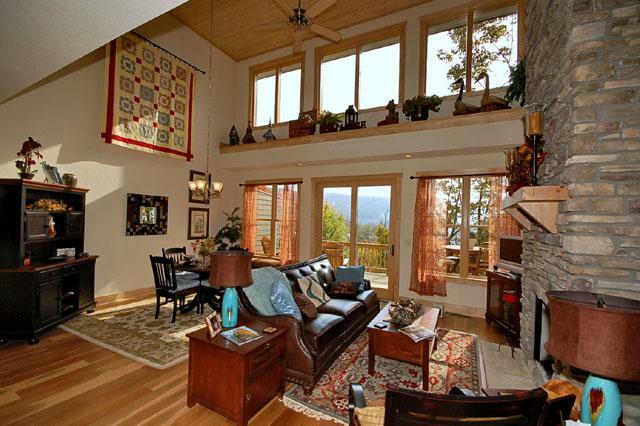 Large Rental Town Homes located on top of Wolf Ridge Mountain Ski Resort are Owned, Managed and RENTED by Wolf Ridge Investment Company. 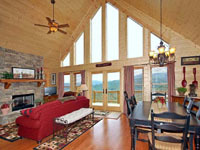 Call 828 319-2497 or e-mail groupsales@skiwolfridgenc.com to book your reservation now. 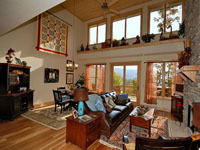 The Views Town homes located on the top of the Wolf Ridge Mountain Ski Resort, are owned and managed by Wolf Ridge Investment company. 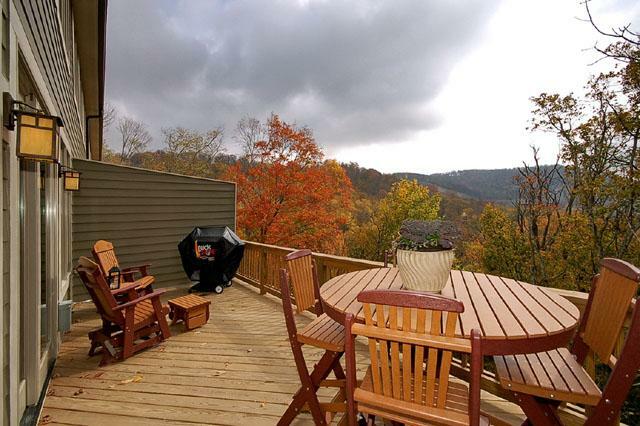 These units, living up to their name, offer spectacular 50 to 75 mile long range views of the Blue Ridge Mountains. With over 2,800sf of livable space each, the units are housed in three beautifully crafted, 3 story town home buildings. Each unit consist of three large bedrooms, 3 to 4.5 baths, loft, recreation room, large kitchen and some with outdoor hot tubes. From hardwood floors in the living area to ceramic tile in the bathrooms and kitchen, granite counter tops, stone gas fireplace and much more, you will find yourself surrounded in luxury. 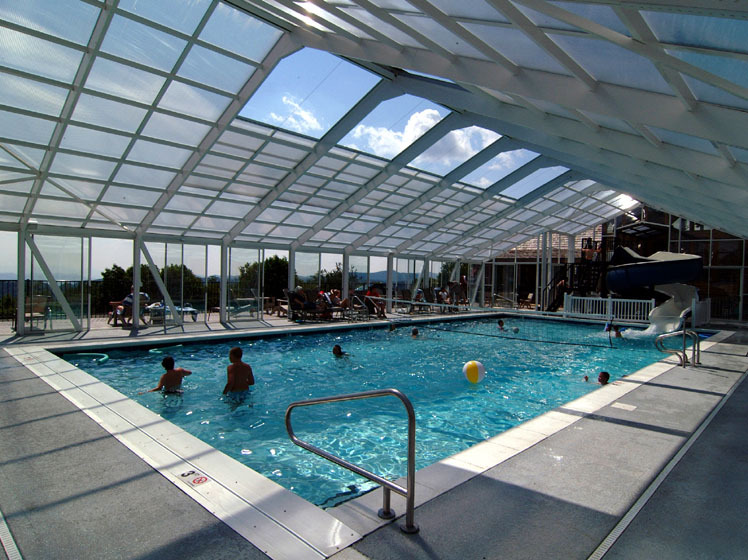 The buildings, located adjacent to the Mountain Top enclosed swimming pool and Pavilion, the wolf ridge childrens playground, the volley ball arena and the outdoor bon fire pit, were designed to accommodate large families and or groups. The pavilion which includes the country grocery store, pool bathrooms and two private meeting rooms, is ideal for small family reunions, weddings, seminars and or light dining. 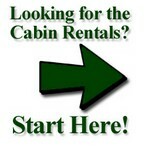 Please contact the Wolf Ridge team and book your vacation stay and or event now. Reservations for the 2014-2015 Wolf Ridge ski season, are already being made, so let us know if we can help you plan an overnight/ ski package combination.